As of October 1st there will be major changes to how to access the university via students’ private vehicles. Due to the university’s green policy which hopes to encourage its students to walk, cycle or take the bus to campus; car parking restrictions have taken place. All vehicles, except motorcycles, parked on campus between the core hours of 09:00 and 17:00 Monday to Friday must display a parking validation on their vehicle windscreen. This excludes car park 20 on Frenchay Campus, which will now operate on a ticketless system with a new vehicle registration unit in place. The cost of number-plate recognition software averages at around £3000. In previous years, parking on campus has been relatively easy, simply purchasing a year long validation and enjoying access to the car parks on all university campuses or with a daily purchase of a ticket with the small fee of 75 pence. However, as of October 1st, car parking tickets will rocket to £3 per day along with the restriction of the postcode exclusion zone. The postcode exclusion zone exists where UWE buses run. It will limit hugely the amount of students who are able to able to access the university car parks depending on where they live in Bristol. 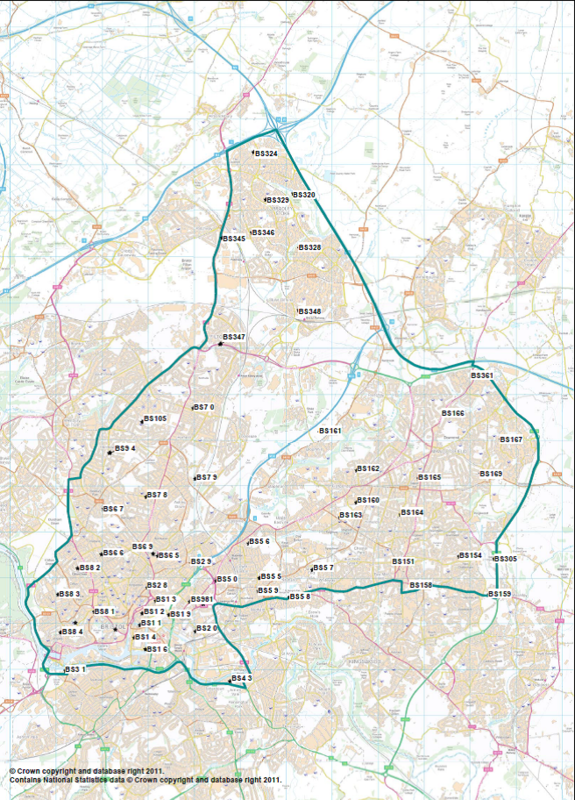 The exclusion zone covers all of central, and most of North Bristol. On the other hand, if students live outside of the exclusion zone and have their own transport the car parking fees will cost them a hefty £15 per week to go to their lectures. This financially draining car parking policy is harsh on students in comparison to prices which the university staff pay for parking. The university staff will pay only a fraction of what the students will pay as the price of a staff permit is based on a 0.3% deduction of their salary starting 1 October. The average starting salary of a university lecturer being around £33,000 a lecturer will pay £99 per year for their parking fee, whereas a year pass for a student is £106. Furthermore, this expensive new policy towards students will potentially have an adverse effect on the university as it will encourage students to park their vehicles in the surrounding residential streets next to the university complex in order to avoid these parking fees, which could also affect university relations with surrounding communities. For any students affected by the university’s new policy on parking, the university has an official complaints procedure which is accessed by emailing complaints@uwe.ac.uk . And then you just have to think of the effects of outside sports like my own that rely on individuals driving to riding lessons! Is there going to be any support for this? Classic obnoxious policy from UWE. If the buses were actually reliable then there would be a shred of an argument for this effective student tax. However as we all know they are not and a ticket a day soon becomes a hefty financial outlay for your average student. Also the geography of Frenchay compared to the homes of students should put UWE in a position to encourage all forms of transport to this collection of hideous grey buildings on the side of a motorway. Not penalise people who can afford to run a car and get to lectures on time. I often use my car to help fellow students to campus and sports practices. This appears to be a signal to people like not to bother going into uni and pushing the success of out sports. Should we just blow our sports fund on crushing our liver instead? Fantastic… I apply for a “permit” to park for £3 for each 2 hour lecture which I’m already paying ~£50 each (out of my own pocket) to attend during work time (so cannot wait for unreliable busses as I’d lose my job). But the permit has still not arrived. So now I’m paying £5 to park. Thanks UWE, no, really, thanks, this is so wonderful, thanks! I disagree with these comments and the articles distaste for the policy. It makes sense. Why should it be cheaper to drive and park than get the bus? There are thousands of students, if everyone drove then congestion around the area would be ridiculous, it all ready is. People complain that buses are late (and, I grant you, some don’t have good reasons) but the reason that is, is because of all the car congestion in Bristol. Also it will make people use buses, cycle or walk which I agree with as it means fewer carbon emissions and fossil fuel use. If you live on a bus route or within 10mins walk of a bus stop, then you should get the bus. Simple. In terms of people needing transport to go to societies that are held elsewhere, then the students union should take this into account and give a certain portion of money towards minibuses etc that will accommodate this issue. People need to stop complaining and being selfish. Look at the bigger picture and think of the environments future. That’s a 400% increase in parking costs. Has the disincentive for students to use their cars anything to do with the proposed new UWE/BRFC stadium, that may restrict parking places in the future anyway?.